It's the best of the holidays any time of the year. We start with our sweetly glazed & sliced Turkey Breast & then bring on the sides. 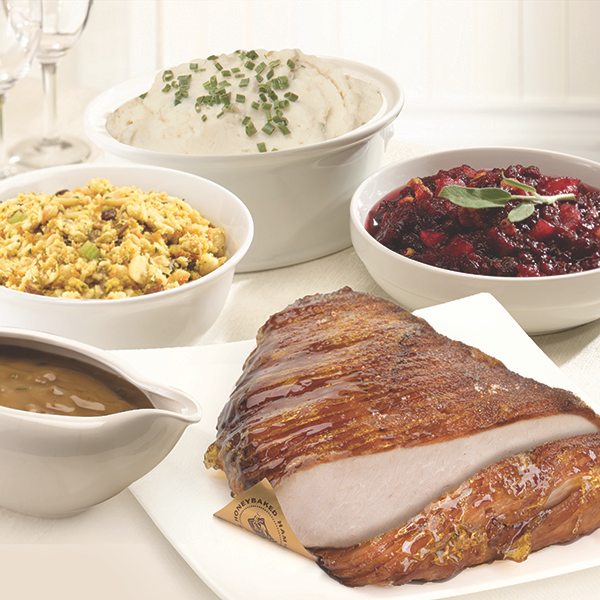 You get a whole buffet-full of accompaniments including Pecan Stuffing, Turkey Gravy, Mashed Potatoes & Cranberry Salad. Your guests will thank you, praise you, & maybe even hug you.